Anxiety can interfere with your daily tasks. It can also affect your overall health. It is a feeling of worry, nervousness and concern in excess. One can experience sudden a sudden anxiety attack which can create a sudden mess in your head. You might be trying methods to fight anxiety. These methods help you but it takes longer to show the results. You should know some techniques to fight anxiety quickly. Whenever you feel anxious try these five minutes remedy to fight anxiety on the stop. Your breathing pattern can help you calm anxiety. It can control your brain powerfully. It is also the most natural way to fight anxiety. Whenever you feel anxious all you need to do is relax and sit down first. Now take deep breaths. Inhale slowly, hold your breath for two seconds and exhale slowly. It will calm your mind and create your own peaceful environment. For some people, songs work the best to relax their mind. It may not be a permanent solution but can help you up to a level at that moment. Choose your favourite music and listen to it. 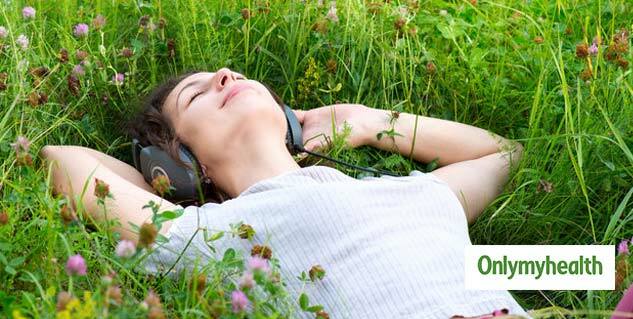 Choose the kind of music which can soothe your brain. The right music can Calm your nerves. You can also make your own playlist to tackle the sudden attacks you may face. Also, make sure that you are not too distracted while listening to music. Concentrate on the music and enjoy it completely. Set yourself free and just enjoy the music. Essential oils have properties which can calm your mind. Inhaling essential oil can help you fight stress, anxiety and insomnia as well. It is a popular therapy called aromatherapy. Take a cotton ball and drop a few drops of essential oil on it. Then inhale the fragrance for a soothing effect. You can use essential oil of your choice. Some popular essential oils which can be used to treat anxiety are- lavender, rose, sandalwood, jasmine and lemon. Chewing a gum is another lesser known method to fight anxiety. Chew a gum for three to four minutes to relax your mind. It will also reduce stress. Chewing a gum during work will also keep the stress at bay. and will make your working hours simple and stress-free. Do one thing at a time. Multitasking makes you worry more. You end up worrying about a lot of things at the same time. If you have anxiety you must try to do only one thing at a time. Focusing on one thing will not distract your attention at different places. Hence, will reduce stress. You should avoid using your phone between work as well. There is no need to use your phone with every activity you do. You should use your phone only when needed or when you have plenty of time. The more the clarity is the less you would be worried about it. Set your clear goals. Before hurrying to complete the task you must sit and think about the purpose of the whole activity. You must think about the whole intention behind doing something. When you have a clear goal, it will give you clarity about what steps you should take to reach the goal. Try to take out time to do things which you like to do. It can be anything like playing with your pet or dance for some time inside your room. You can also doodle or paint.